It's been another strong half year for the Australian exchange-traded funds industry, finishing the first half of 2018 at record highs, according to the BetaShares 2018 Australian ETF Review. 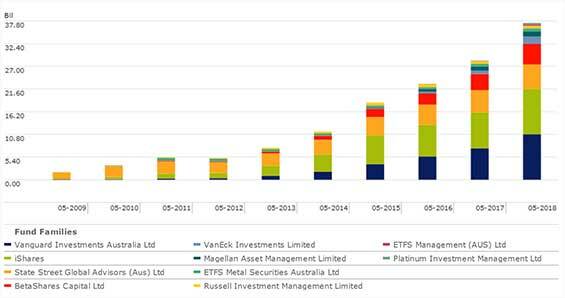 Since the first Australian ETF was launched almost twenty years ago, the industry has grown to $39.2 billion in funds under management, with $3.2 billion added in the last six months. Most of the growth (84 per cent), according to BetaShares, came from net flows totalling $2.7 billion, opposed to asset appreciation. Passive-ETFs remain the dominant category, capturing 77 per cent of these inflows, while active ETFs brought in an additional 16 per cent, a sign, BetaShares says, that active is "starting to take hold of the market". SmartBeta-ETF flows so far this year have been relatively low, receiving 6 per cent of inflows, versus 20 per cent in the first half of 2017. Four major players continue to dominate the EFT industry – Vanguard, iShares, State Street Global Advisers and BetaShares, who collectively control more than 80 per cent of the market. Given the growth of the industry, BetaShares chief executive Alex Vynokur says he expects to see another record year of asset growth – forecasting total industry funds under management at the end of 2018 to be between $47 billion and $49 billion. Drilling down to a category level, international equities dominated net flows, pulling in $1.4 billion, more than twice the flows of the next biggest category, Australian equities ($567 million). Commenting on the result, BetaShares head of strategy Ilan Israelstam said: “Australian investors have long been comfortable buying Australian shares, but are often put off by the increased burden and cost associated with buying shares overseas. “The introduction of ETFs which provide exposure to global shares means that investors wishing to diversify away from their home market can now do so as easily as buying any share on the ASX. 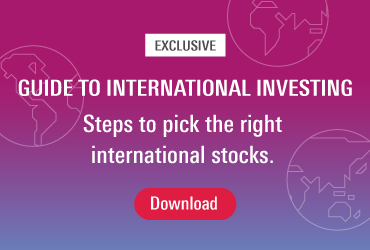 "Buying international equities ETFs gives investors a way to obtain access to companies and sectors that are not particularly well represented on the Australian sharemarket." By way of example, Israelstam points to the the technology sector which represents just 2.4% of the S&P/ASX 200 Index vs. 55% of the Nasdaq 100 ETF (NDQ). Fixed Income was the third largest category for flows, receiving $463 million, followed by multi-assets and cash. Vynokur notes that despite an improvement in the markets, investors remain wary in how they allocate their assets, particularly with reference to Australian equities where sentiment remains mixed. This is shown, he says, by strong inflows into cash and fixed income products. Vynokur expects fixed income ETFs will continue to be allocated into "as more investors seek to create balanced portfolios." 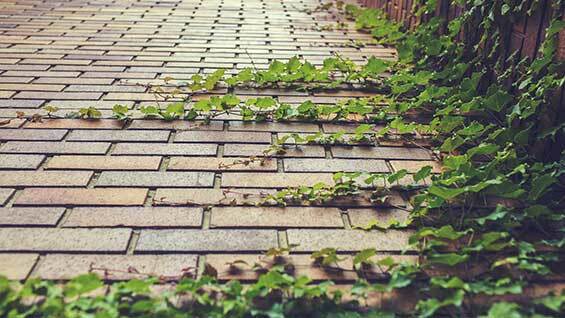 The sub-category Australian-Equities – Ethical proved highly successful in the first half of 2018. It received $130 million in inflows whereas the broader Australian equities category received $135 million. “Responsible investing options are really moving into the mainstream, with particular interest from millennial investors," Vynokur says. "This is an area we expect to flourish given the attention investors are paying to aligning their values with their investments." ETFs in this category include the BetaShares Australian Sustainability Leaders ETF (ASX: FAIR), the Russell Investment Australian Responsible Investment ETF (ASX: RARI), and the UBS IQ MSCI Australia Ethical ETF (ASX: UBA). Sub-categories that experienced outflows include currency, Australian Equity – Financials Sector and Oil. The performance leadership table for the six months to 30 June 2018 was dominated by ETFs, with technology exposures, taking out the second, third and forth positions. However, the BetaShares Crude Oil ETF – Currency (ASX: OOO), which gives investors exposure to the performance of crude oil futures, took out the top spot, returning more than 23 per cent for the half year. The worst performing ETFs over the half year, which recorded negative performance, according to Morningstar, were the BetaShares Strong Australian Dollar Hdg (13.25) (ASX: AUDS) and the VanEck Vectors ChinaAMC CSI 300 ETF (AU) (10.03) (ASX: CEFT).